We tend to always turn to the same books of the Bible – those which are easily accessible and which we have grown to love. Could it be that some aspects of God’s character and purposes therefore remain hidden to us? God gave us 66 books, not 13 or 40! _Please describe the Word Up project. 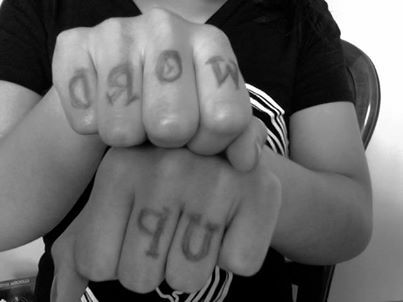 Word Up is a Facebook forum for reading the Word individually and together. The Facebook page enables students to ask questions and to help others with their questions. We also use it to post resources and the daily reading plan. In 2011, Word Up started with 99 days of reading Psalms in the summer. In 2012, we encouraged students to read the New Testament in 27 days. One book per day. Now we are challenging students to go zipping across the Old Testament in four months. _What motivated you to run Word Up? When I talked to some student leaders, I realized that they had never read the entire Bible. In Christian circles, Bible verses are often quoted out of context to support a variety of Christian positions. I hoped that after reading through the Bible, students would start to appreciate the big picture and see how individual passages fit into this context. _How are students involved in setting up the project? Last year, a group of student leaders tried out the material before the Facebook page was launched. They rejected what they felt would not connect with students and suggested alternatives. This year, a team of students has made a monthly commitment to blogging daily on the Bible passages being read. Create your own Word Up! Join the students in TSCF on facebook. Or let this project inspire you: How can you start to explore unfamiliar parts of the Bible? With whom could you share questions and thoughts from your personal Bible reading? Have you ever read through a Biblical book in one go? If not, give it a try! Four staff from the IFES region of North America volunteered to take on Thirsty as a pilot project for a year. Our goal by next June is to have 500 regular users. Thirsty delivers a passage of Scripture each day along with three inductive questions to a blog site, Facebook page, email inboxes, and Smartphones via a text message. The passages go consecutively through books of the Bible. The study questions are written by a multi-ethnic, multi-national group of staff and students. Thirsty users can interact with each other about the daily study on the blog site or Facebook page. Take a look for yourself: http://thirsty.ifesworld.org/ A video presenting the Thirsty project can be found at http://vimeo.com/28412649/. Since Thirsty was launched Sept 1 there are about 250 regular users, and more than 3000 people from over 60 countries have visited the blog page. We don’t know how many of the users are new to regular personal Bible study or whether these are regular Scripture users switching to using Thirsty. We’ve received enthusiastic feedback from some of the regular users who really appreciate the way the inductive questions help them think more deeply about the passage and apply it to their lives. A full evaluation of the Thirsty pilot project is scheduled for early 2012. At that time we will also consider how Thirsty could be shared and expanded among other IFES movements who may be interested. _WordUp: 99 days of reading psalms. Cf. https://www.facebook.com/groups/wordup.nz/ The documents on the facebook page include some very creative videos on Bible study. _Reading through the Bible in one year. A facebook group started by a Danish student.